Goldie Taylor is a veteran journalist, opinion writer and cable news political analyst. She is currently Editor-At-Large at The Daily Beast. The now former campaign strategist has been featured on nearly every major network--including NBC News, MSNBC, ABC News, CNN and HLN--and she has been a guest on programs such as HBO's Real Time with Bill Maher, The Dr. Phil Show, The Steve Harvey Show, and Good Morning America. Taylor is a frequent guest on a full host of local and national radio shows, including NPR's All Things Considered, and has written dozens of guest op-ed columns for Salon, Atlanta Journal Constitution, Creative Loafing, St. Louis Post Dispatch, The Grio, Huffington Post, CNN.com, MSNBC.com, and Essence among others. In November 2015, Taylor penned a blockbuster cover story Ebony Magazine about the legacy of comedic icon Bill Cosby and made a cameo appearance on BET's Being Mary Jane. She was a contributing producer for "CNN Presents: The Atlanta Child Murders." Taylor is the author of In My Father's House (Wheatmark Press, 2005) and The January Girl (Warner Books, 2007/ Hachette Grand Central 2008). 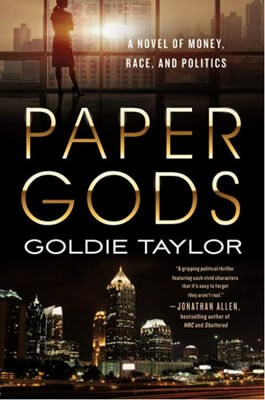 Her her third novel, Paper Gods, will be released by St. Martin's Press/ All Points Books in October 2108. The mother of three grown children and two grandchildren, she is wholly convinced--in her words-- that "God has a sense of humor." Taylor lives with her family in Atlanta and Brooklyn. The mayor of Atlanta and a washed-up reporter investigate a series of assassinations, and uncover a conspiracy that reaches into the heart of the city's political machine. Mayor Victoria Dobbs Overstreet is a Harvard-trained attorney and Spelman alum, married to a celebrated heart surgeon, mother to beautiful twin girls, and a political genius. When her mentor, ally, and friend Congressman Ezra Hawkins is gunned down in Ebenezer Baptist Church, Victoria finds a strange piece of origami–a “paper god”–tucked inside his Bible. These paper gods turn up again and again, always after someone is killed. Someone is terrorizing those who are close to Mayor Dobbs, and she can't shake the feeling that the killer is close to her, too. Men couldn't help but be drawn to her exquisite beauty and incomparable grace. But Thandy knew Dr. Jackson Gabrielle was different the minute they met. And indeed, Jack knew that this enchanting creature was meant for him, despite the fact that he was already married. Thandy and Jack's decade-long affair might have been continued indefinitely, the hard-working attorney and the high-profile surgeon scraping together moments for each other out of their crazed schedules, if Thandy hadn't learned from Jack's bitter wife that he had taken up with yet another woman. Thandy moves on, leaving Jack in Atlanta for a big job in Chicago. Jack, used to getting everything he has ever wanted with ease, is forced to figure out what it takes to hold on to something he loves. And Thandy, having fought her whole life for everything she has achieved, realizes the true measure of her strength. But fate intervenes and sets into motion a series of events leading to a shocking climax that forever changes everything. Goldie Taylor is a former broadcast and print journalist. She is an alumna of Emory University. Goldie is now a managing director at a public relations agency. 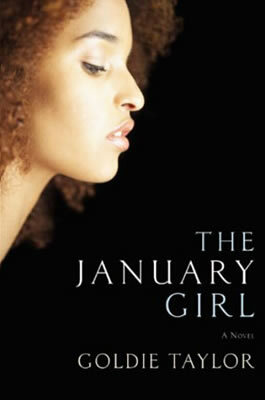 Gilly begins her tale in an unlikely place-35 years after her father was sentenced to death. The story opens in the cramped, musty visitor's room of a south Georgia prison. Immediately she begs us to accept the unjust, ugliness of Jim Crow, "to let sleepin' dawgs lie," even as she relives her own tragedy piece by piece. 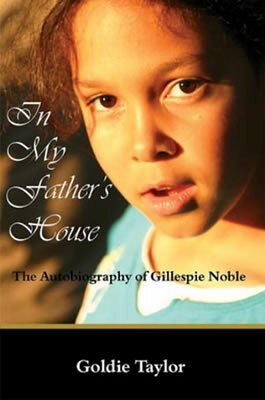 Told in first-person narration, In My Father's House, is the fictional autobiography of Gillespie Noble. Sentenced to death in 1969, Gilly's father, Josup "Pappy" Noble, escapes an executioner's charge when capital punishment is outlawed by the Supreme Court. "Bound up, shackled, and governed," he chastens Gilly to "look beyond him, beyond the iron-laced windows and bolted doors, to go on living." Is he the god his daughter makes him out to be? Or is he something less, a deeply flawed creature in need of a heavy dose of mercy and salvation? For her part, Gilly is a self-absorbed, irreverent drunk. In her own voice, this woman who seems to have everything reluctantly admits she has nothing. The question never is can she successfully exonerate her father, but can she save herself. Using the Deep South as her backdrop, Taylor paints a riveting picture of Southern politics, religion, and society. The result is an engaging story about how one black family not only held it together against the odds, but survived and flourished beyond measure.